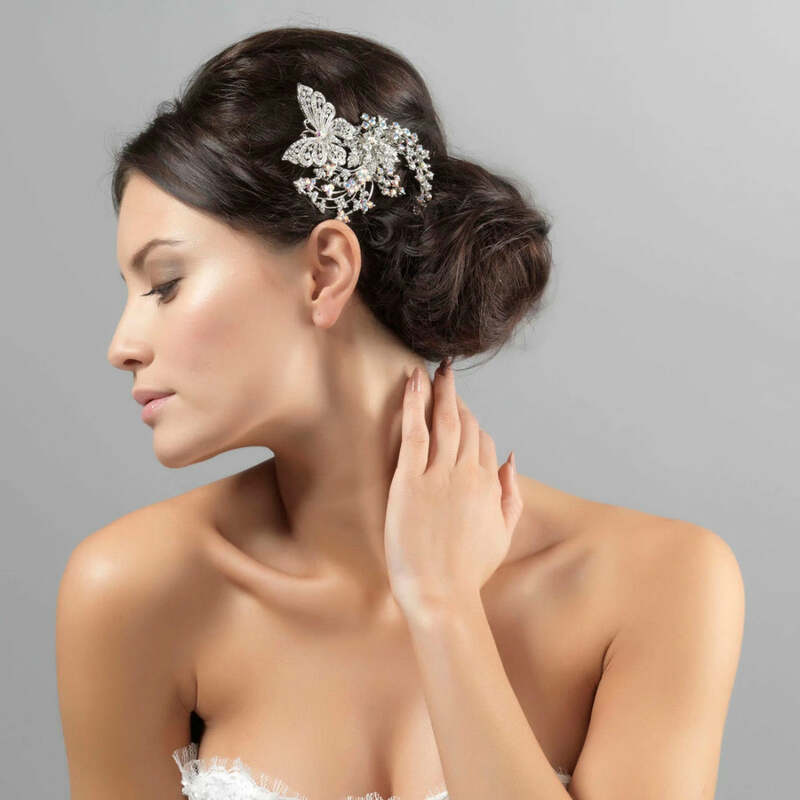 So beautiful, this butterfly headpiece oozes charming romantic style. 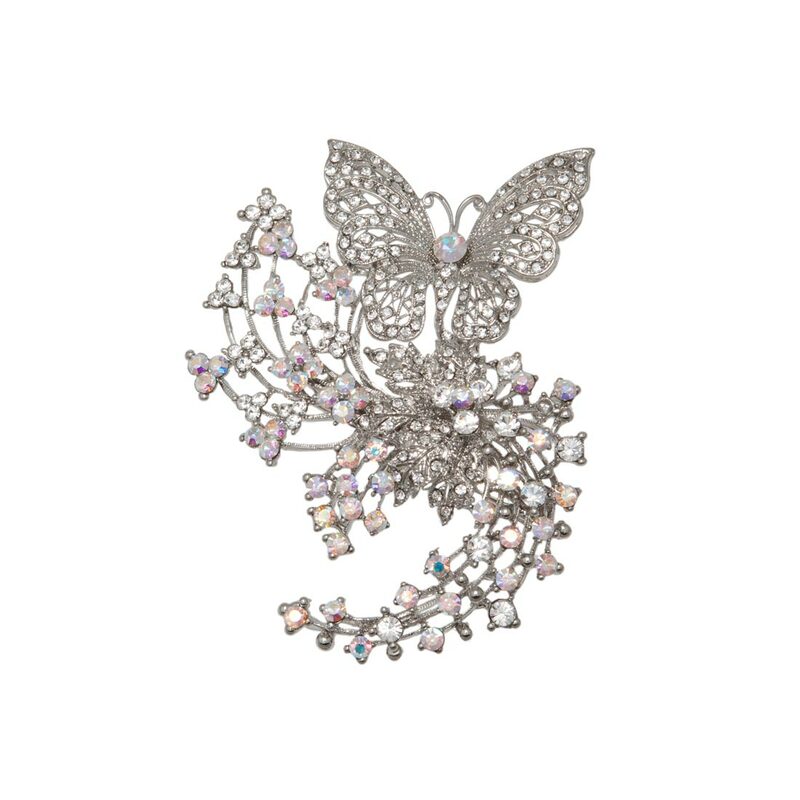 The focal point of this captivating headpiece is a delicate butterfly sitting alongside winding stems and a central leaf encrusted with sparkling clear and AB Austrian crystals. Butterfly motifs are often featured in vintage jewellery and headpieces and this divine 'piece' could certainly be mistaken as a genuine antique store find. Perfect to adorn an elegant up-do, it secures to hair with a small concord clip and looks fabulous worn at the side of the head for antique chic style. Butterfly of Enchantment takes inspiration from the classic glamour of 1940's Hollywood with a hint of modern day charm. Brides will look divine with this captivating headpiece teamed with a vintage inspired wedding gown and a pair of classic drop earrings.